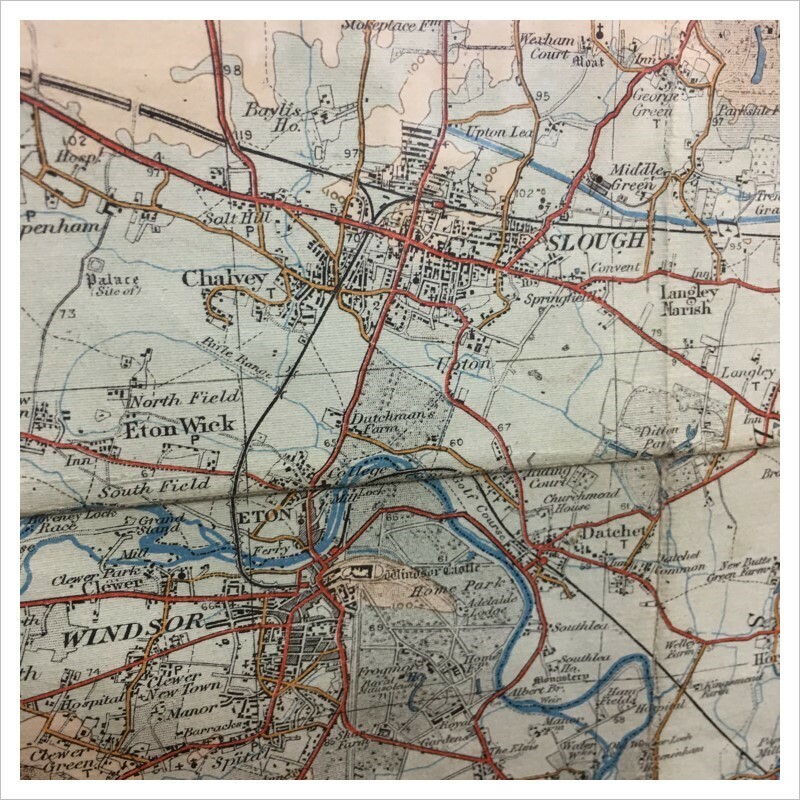 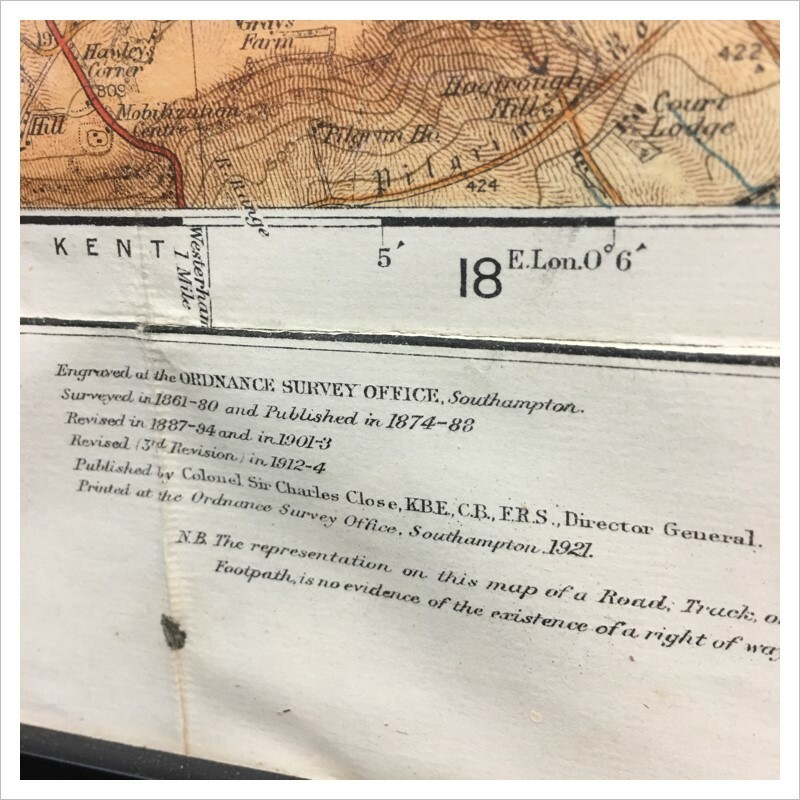 A Vintage London Map made by ordnance survey in 1921. 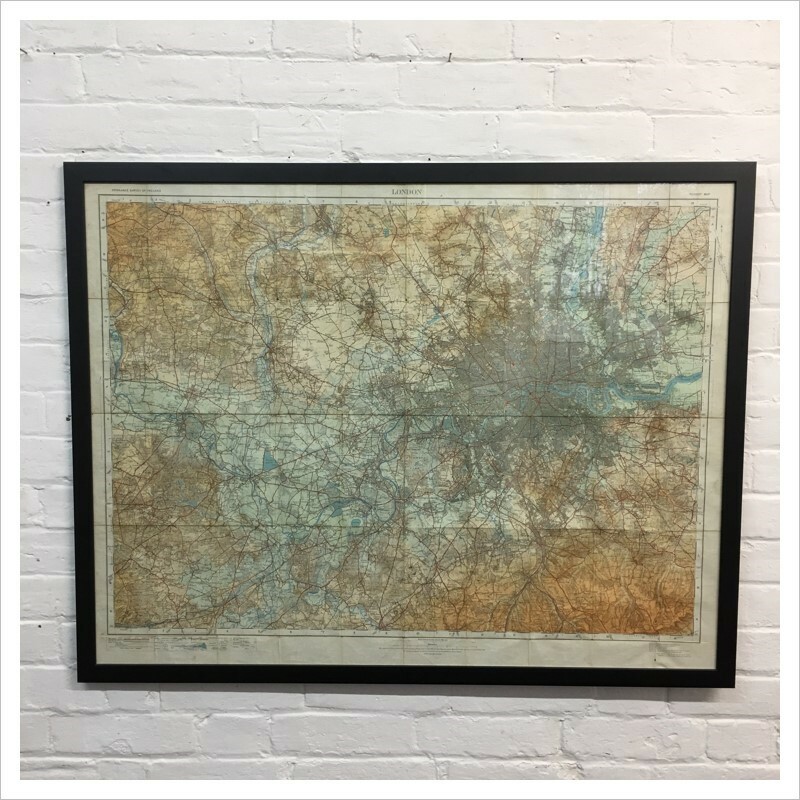 The map covers central London and surrounding counties and was a touring map. 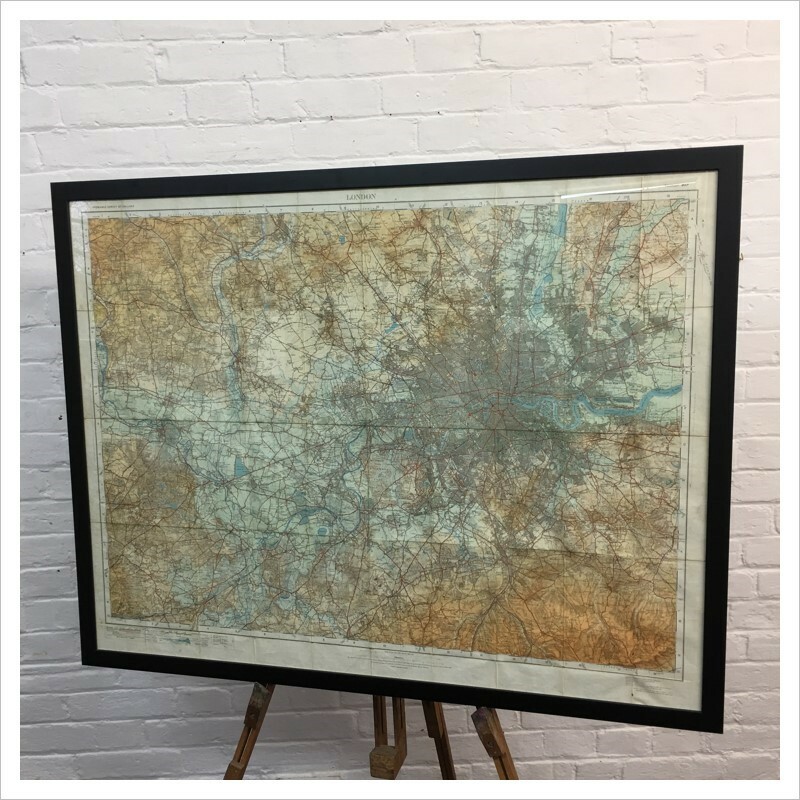 The map has been professionally framed onto a black wooden frame with glass sheet. 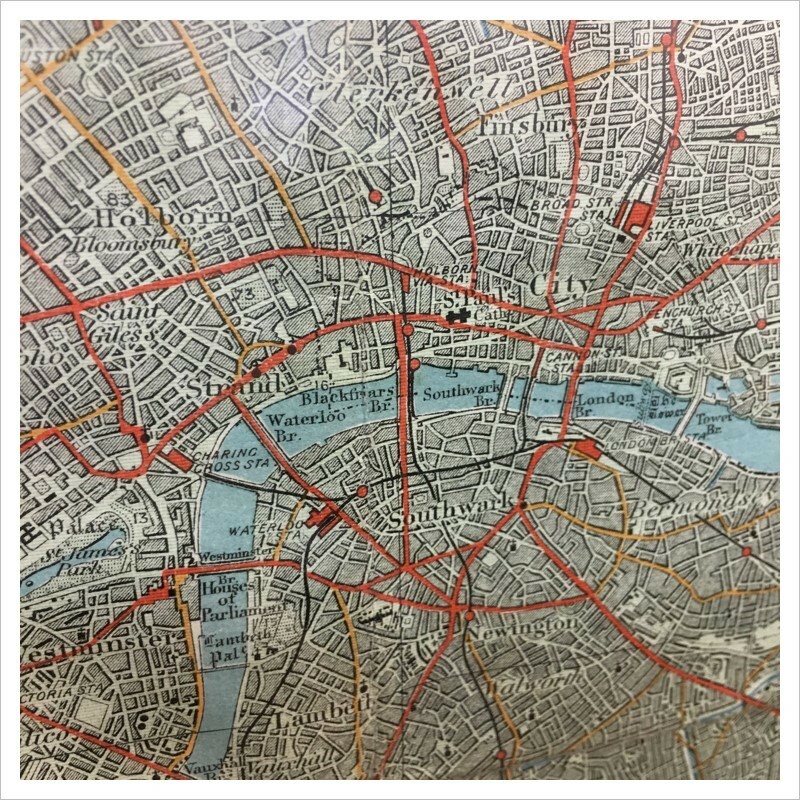 A rare original unique map.